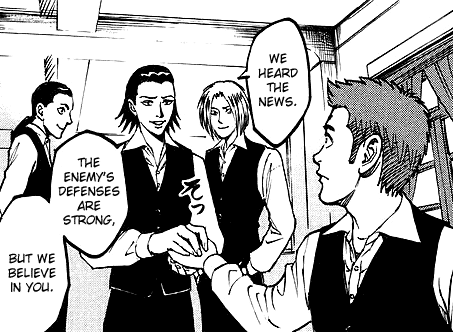 All I can say is, I wish Sekiya had shown Katori's reaction to the news. Enjoy. Go for it, Bambi! Eri's too good for you anyways. At least this one can keep you straight. I like Asuka-chan, this looks like a fun arc! It's quite very enjoyable to read such a humorous chapter of the mischievous Black Tri-stars' teasing. No wonder, Bambi was rather peeved with that kind of assumption. Oh, yes. I just love Yone-san's lighthearted teasing. He's really so stylishly cool!